It's almost the weekend ~ woot, woot! It's also time for a brand new challenge at the CCEE Stampers. 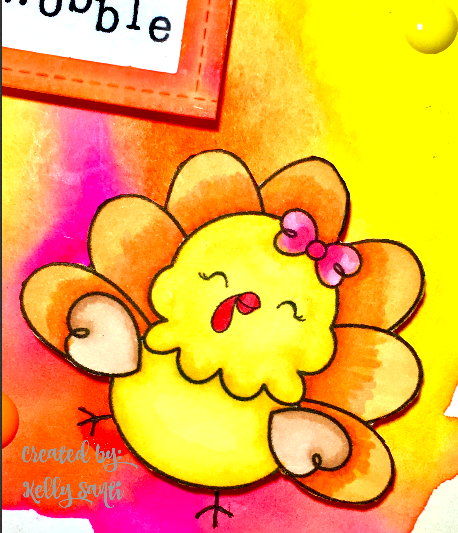 As the last of our celebratory month, I would like you to make a baby card OR a wedding card……your choice. Oh Joanne, you are a hoot! so I pulled two of them out and added them to a pink dsp themed base. They are popped up on 3D foam and lightly colored with prismacolor markers. The banner and heart are cut from MFT dies. 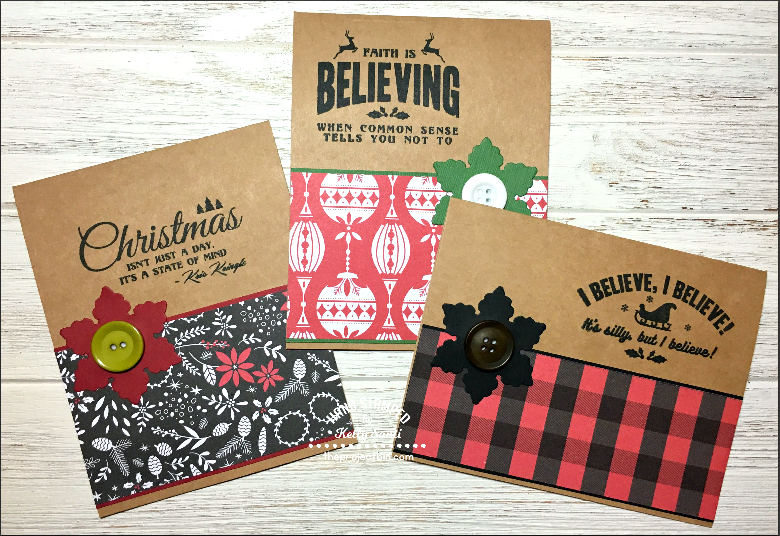 you'll have to stop in the CCEE Stampers blog and see! then headed out for Black Friday shopping which was amazingly very light. and we got every single thing on our lists! scooping up a lot of the online crafty deals. The Project Bin stamps this week. 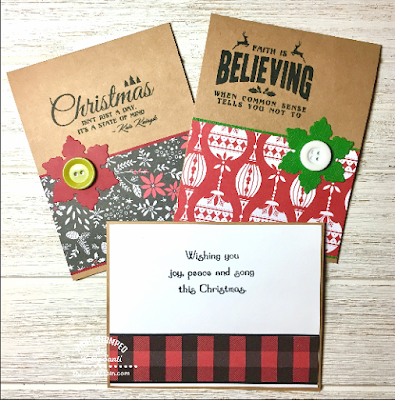 I call this my 5 minute Christmas card dash! especially if you have to make 50-75 cards. and tailor it to the group of people that you'll be sending it to. Now, I love - love - LOOOOOOVE the rustic look to Christmas! I wanted to incorporate exactly that. 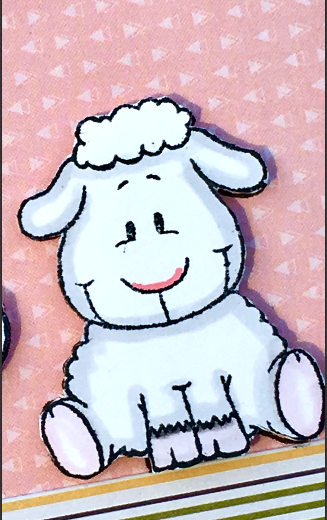 I was going for that homespun feel to these cards. and the Tim Holtz Stamping Platform. 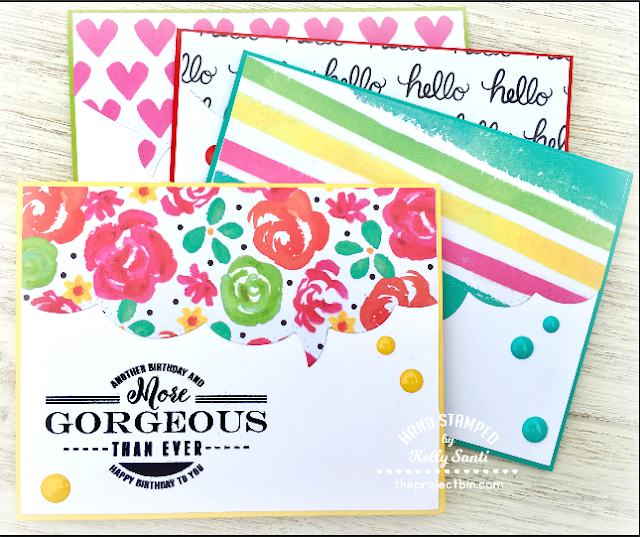 I used 3 of the sentiments in this wonderful set. glued a button to each and set that aside to dry. tucking on colored cardstock for a little bit of edging. 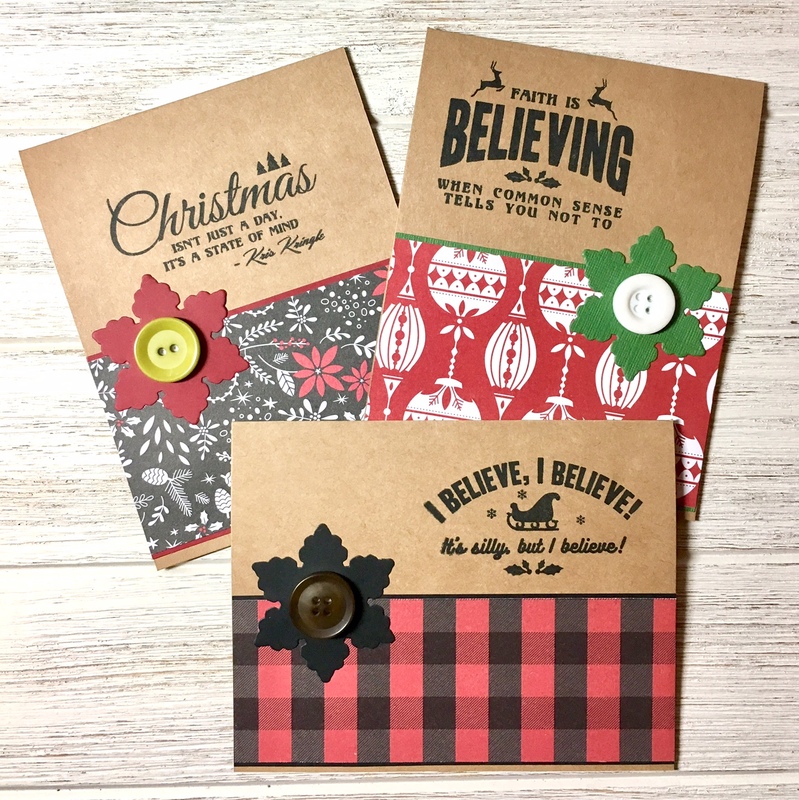 I finished up the inside of the cards using a sentiment from Joyful Song. surrounded by family and friends, sharing a loving meal. Year’s card, or a winter card….. whichever you think you need the most for your stash. I definitely need to have a few more Christmas cards in my stash. and quickly assembled it into a card. The papers are from Doodlebug and I colored it with prismacolor markers. a year being televised on TV! and see what the other girls have made this week! If you link up your card, use the keyword CCEE1747. If you head out for some shopping, be safe! Do you love it most of all?! It's just an absolutely beautiful season. the feeling of gratitude and togetherness and blessings abudant. 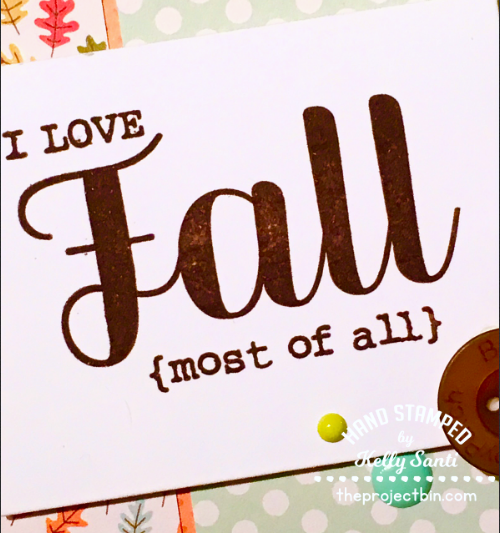 and the I love Fall stamp is stamped in Chocolate Chip ink from SU! from Pebbles ~ Woodland Forest collection. I keep using this paper pad over and over - it's divine! as well as a gallery of cards made with each of the stamp/die sets. 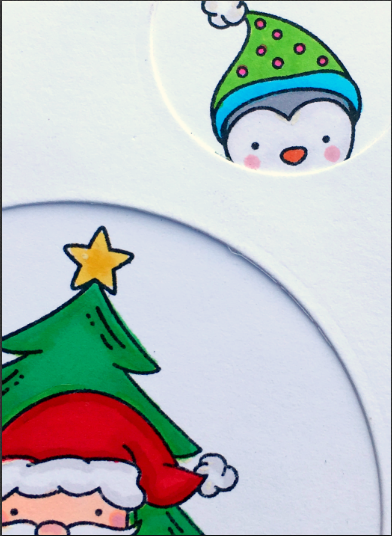 to make an Inside/Outside card! And inside out card is actually a pretty simple idea! and the front becomes the inside! I thought it would be fun to see how we interpret switching the roles of each. 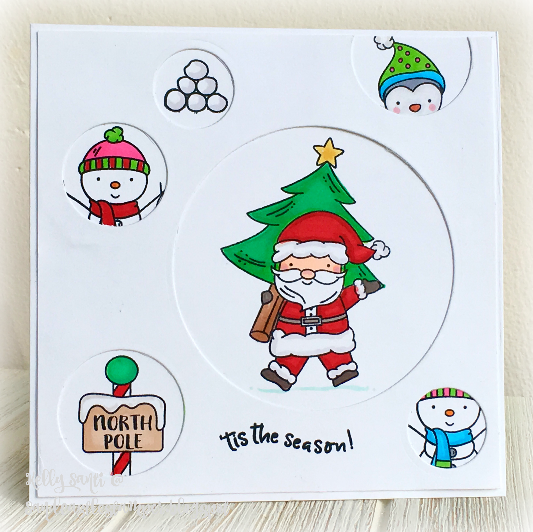 I used my new Neat and Tangled stamp set "Santa's Wonderland"
This stamp set is. the. cutest!! each of the cut out circular shapes, giving a hint of the merriment. by heading over to their blogs! there's only 5 weeks left until Christmas! 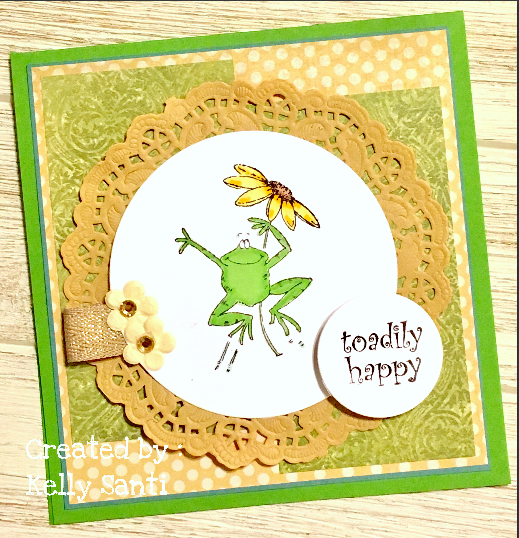 I'll add my card to the Neat and Tangled Little Tangles challenge - coloring! 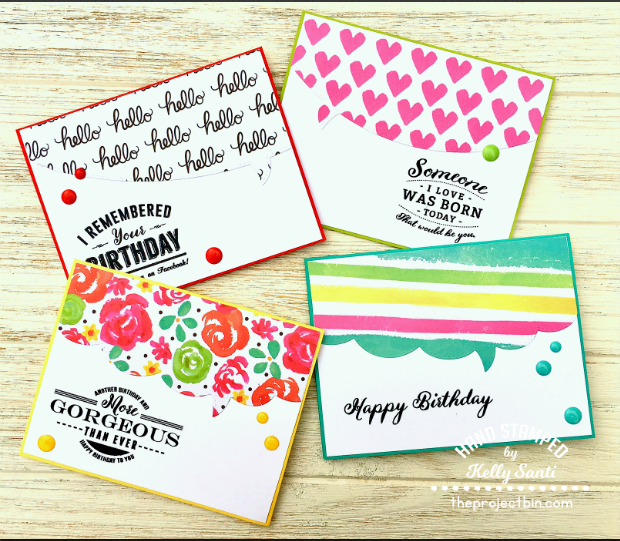 I have two posts today, one including this new challenge for the CCEE Stampers in honor of our teammate's birthday today - Joanne! this week's challenge is to make a feminine birthday card with flowers. To celebrate the day with me, let's do a random act of kindness. What a wonderful birthday gift to give, Joanne! I thought about your wishes and did exactly that! it's slim pickings on what stamps are out to use! you'll see she loves the ocean as much as I do! 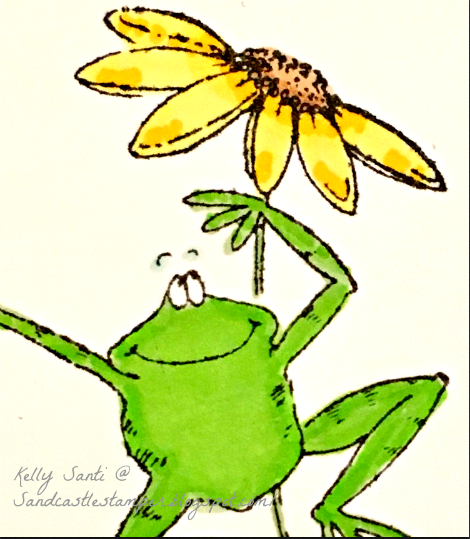 I hope your day is filled with beautiful things! 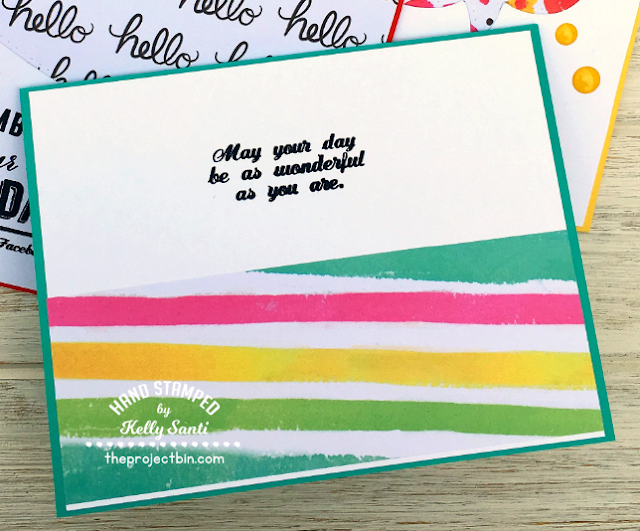 create and post a card based on a kit mailed to us by this month's hostess. This month, the theme they came up with is hoppin! in a fabulous terrarium and he got such a kick out of them. from the image, the paper, the doily, a ribbon, the flowers and gems! Your kit was fresh and fun and so very unique! In the 11 years that we've been doing this, we've never had a frog theme! the inside is just blank white cardstock. and popped up the sentiment Suzy also sent with some 3D foam. 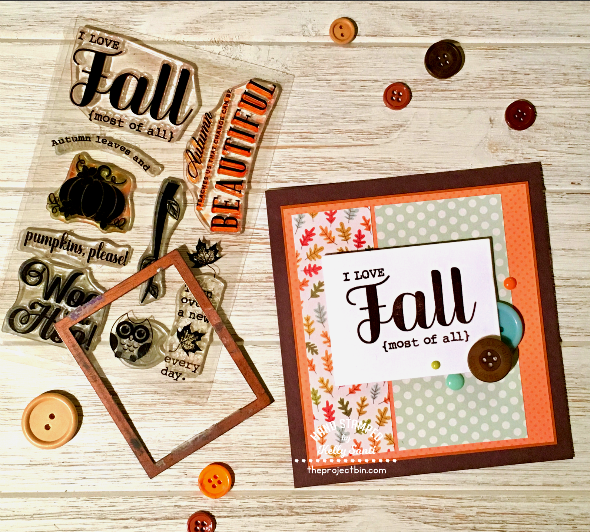 Thanks, Suzy and Deb, for your fun theme and kits this month. We'll be back again in January 2018! 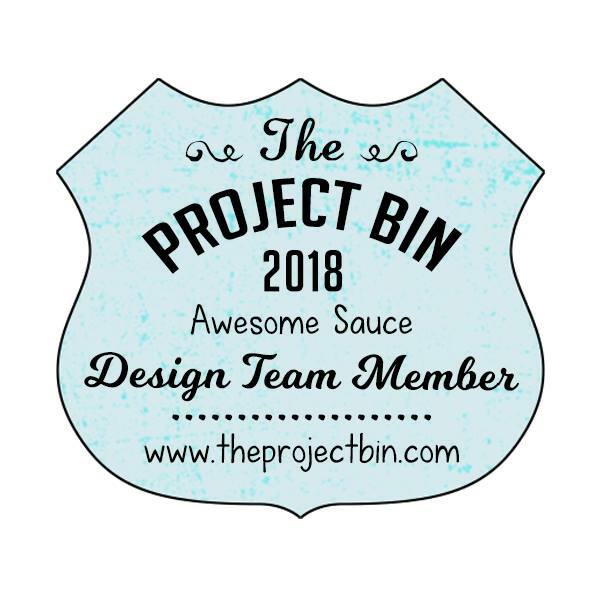 Mondays with The Project Bin ~ Birthday Bonanza! But sometimes we need to have a few cards in a pinch! 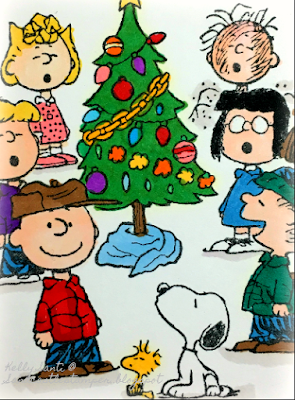 and make many merry cards! and combined them to make a set of cheery birthday cards. 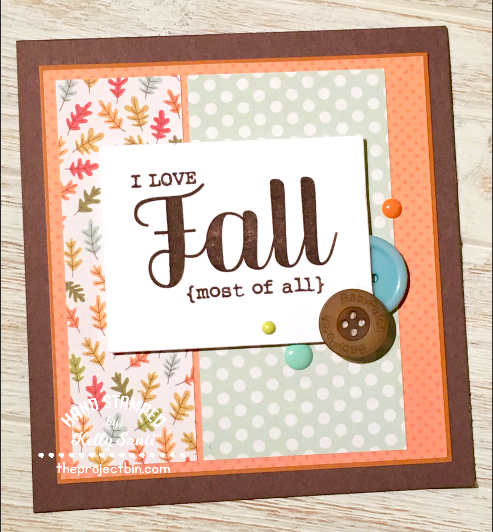 I've used several speech bubble dies to create the die cut with dsp. or have handy for some quick grab 'n go birthday card giving! 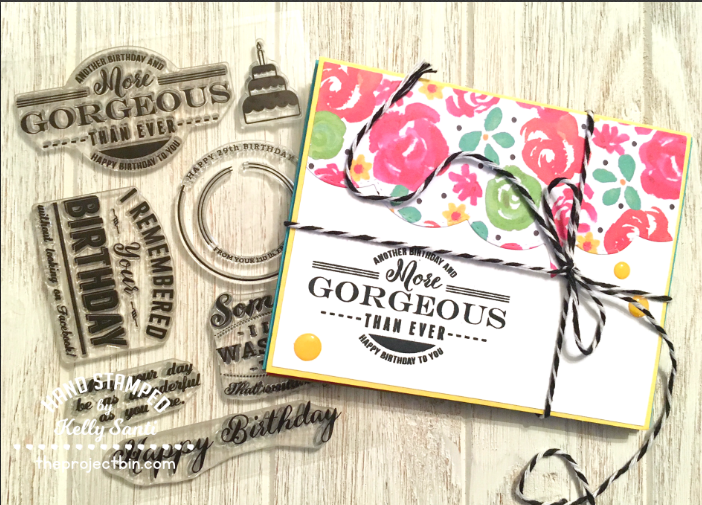 You can see this stamp set and more in the shop. and it will take you to the gallery. to inspire your creativity over at The Project Bin blog. This week's challenge is by the current hostess, Joanne. is to create a masculine card. 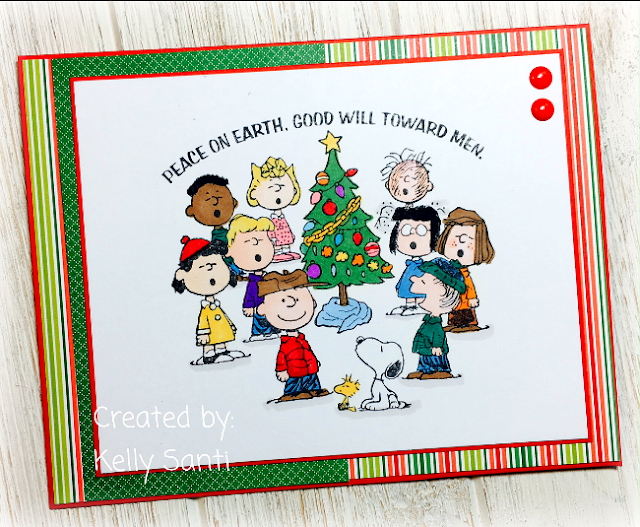 I had to ink up another Charlie Brown stamp! 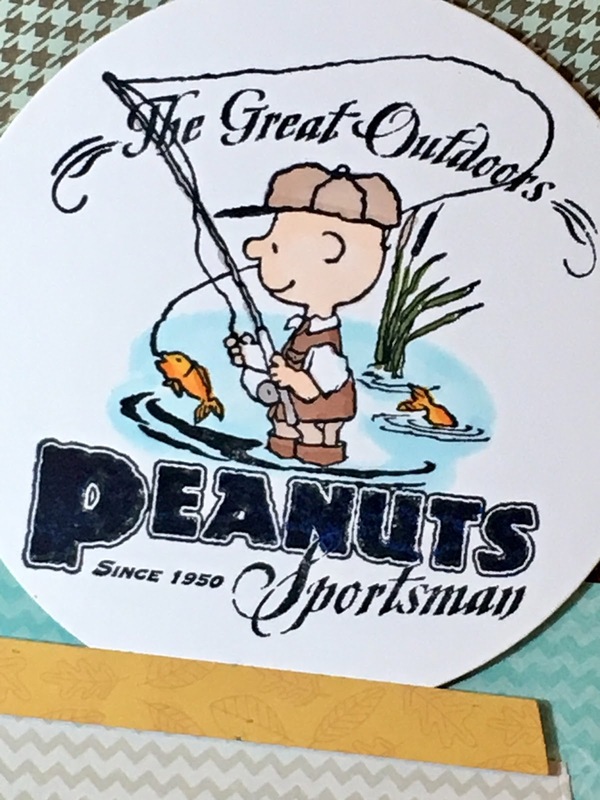 to reflect my son and husband's love of fishing together. with this challenge on the blog. *I have 2 blog posts today! please scroll forward one post. Thanks! the day the 3M post our cards with the SAME image. 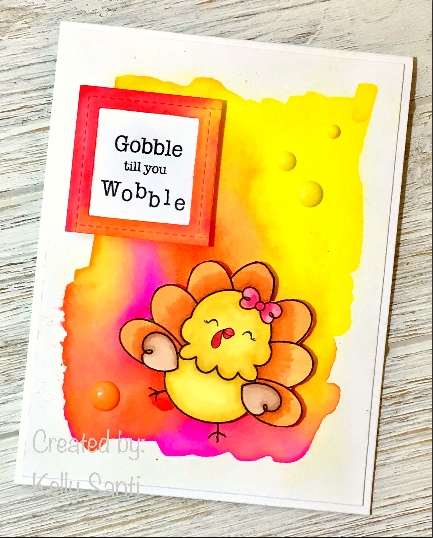 this adorable turkey from Whipper Snapper, Taggart Turkey. I colored it pretty general and added it to a bold framed card base. a switch up from being too precise. and it's a printed piece of dsp with tons of words. 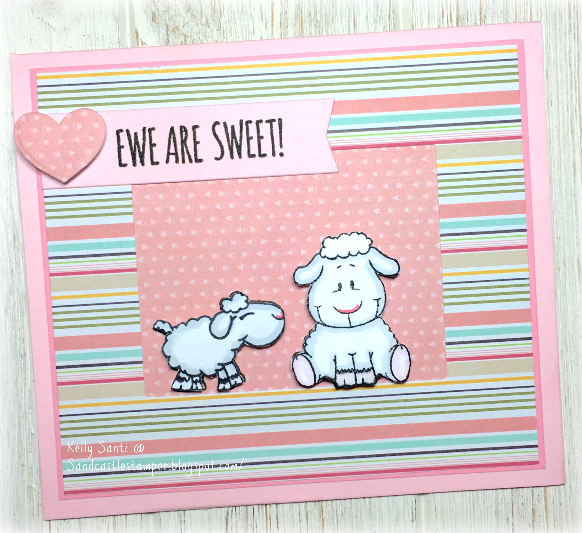 Be sure to see what Barb and Jeanette have made with this kit, too! 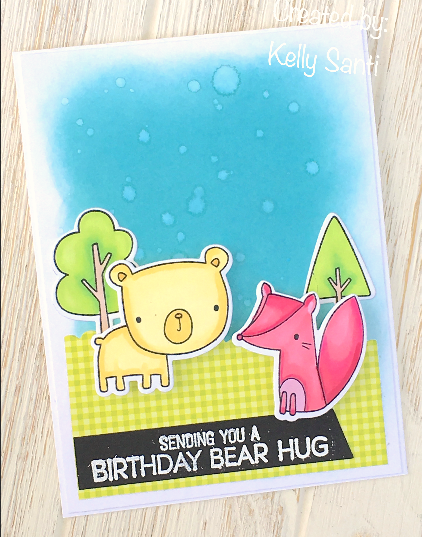 Sending you a Happy BEAR-thday! I am catching back up again from a VERY busy 2 weeks! My son has kept me hopping - and jumping, and limping, LOL! 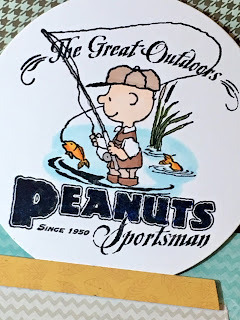 camping, hiking ~ including the 2nd leg of a 10 mile hike ... gasp! and districts of which all the kids did a fantastic job! We just learned he scored Superiors ~ woohoo! 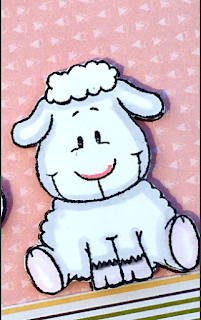 retirement sale and am inking them up and making cards! I immediately (while driving) planned out the card in my mind. It came together just as I hoped it would! After all, bears can be yellow-ish and foxes can be pink-ish, right?! oxide over distress because I knew I'd add water droplets. 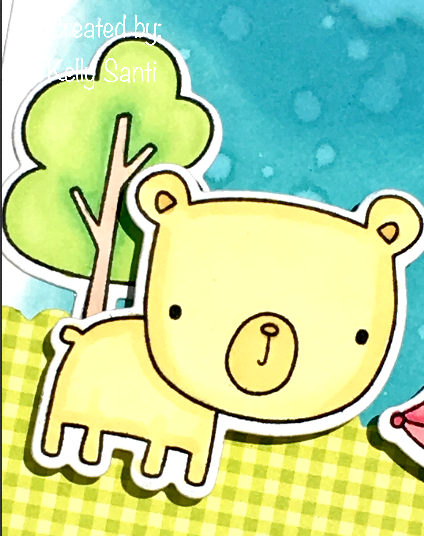 stamped out the trees and woodland friends onto #110 cardstock. I knew I needed one to stand up being popped up on 3d foam. 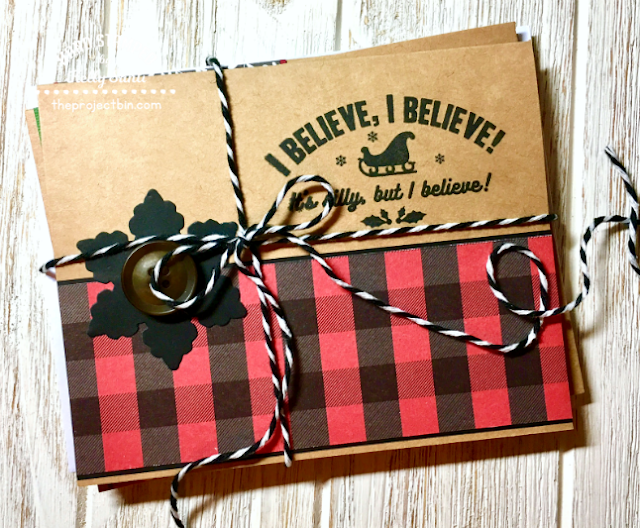 added a heat embossed sentiment on black cardstock for contrast. The *quad* photo will be over on my Instagram later today! 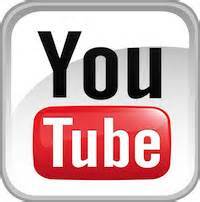 I'll link my card up to MFT challenge 80. Can you believe it - this year is flying by! Joanne is our hostess and challenged us to create a card with thanks. This month I am going to keep it simple. The holidays are coming, and times will be busy. OR a card of thanks. I decided to create a Thanksgiving card for 2 reasons. background piece that was originally on my card. 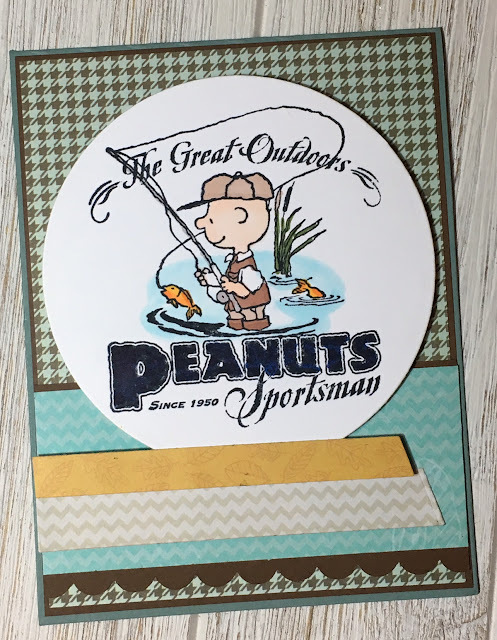 The small square around the sentiment was originally a window frame die. and attached her to this watercolored background. and popped up on 3d foam so sideways, there's a lot of dimension going on! These colors are very bright and bold. set of watercolors is AH-MAY-ZING!! I did color the turkey with my prismacolor markers, the rest is paint! 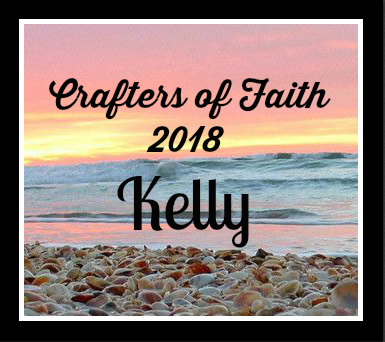 created this week ~ you can find the blog here. your card and/or use the keyword CCEE1744. Thank you again, Heidi, and 2 Cute Ink!